There’s nothing like a little bit of adrenaline to bring your team closer together right? Of course, we’re not suggesting running with wolves or jumping off a cliff, but rather, throwing axes to see who can get the most points! 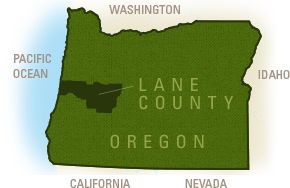 Oregon Axe, located in Springfield, OR, is an axe-throwing lounge that seeks to indulge your adventurous side in a safe and conducive environment. You may ask, what does axe throwing have to do with team-building or even a conference? The answer: Everything! 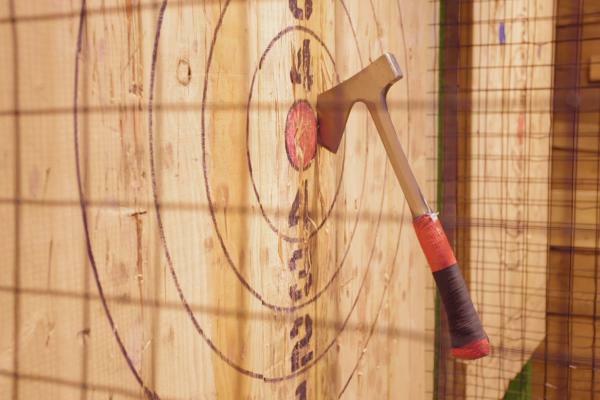 Axe throwing has all the requirements needed for a good team-building activity for delegates. It’s fun, engaging, inspires friendly competition and it is something your colleagues or conference attendees will be speaking about for months afterwards. Friendly competition has been proven to increase bonding between coworkers and helps as a positive icebreakers between attendees. Also, friendly competition directly correlates from engagement in the activity. People will not only be trying their personal best, they will be cheering on their coworkers to do the same. Axe-throwing is unique in the sense that it caters to one’s adventurous and dangerous side in a safe and conducive environment. When you book your session, an “Axe-pert” is assigned to your group and everyone will receive training on how to properly hold, throw and retrieve the axes. Once everyone has been schooled in the basics, let the fun begin! There are many ways to play. Two teams can be pitted against one another, first team to 20 wins, last team member to be eliminated wins, etc. The possibilities are endless. If you need a breather or would like to hold a small meeting after the fun is done, there is a meeting room with a wall-mounted TV where attendees can meet and mingle. A bar with drinks and refreshments is also available. Don&apos;t worry about mixing axes and refreshments, there&apos;s a three-drink maximum! Axe throwing is the new bowling except it has adrenaline and sharp objects. Make sure you wear close-toed shoes! 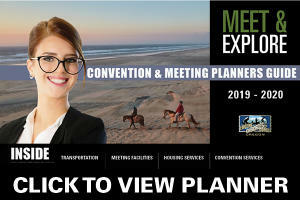 For more information or to book this space, contact us!